In August 2015, Islamic Declaration for Climate Change was pronounced to signify Muslims’ contribution to conservation work and motivate other Muslims to the cause. This declaration, in particular, and environmental conservation work, in general is significant because, a) it provides a concrete example of jihad in the wider context, b) it has the potential of attracting Muslim youths into non-violent jihad, which would occupy and dissuade them from violent extremism, and c) it provides a positive image of young Muslims who have been tarnished and viewed as young persons susceptible to radicalism. Today, the worldwide Muslims attention is directed towards the ongoing threat of terrorism and extremism such as those committed by ISIS. ISIS and its supporters actively propagate that real jihad is only through participation in violent conflicts to fight infidel military forces and establish an Islamic state. Some Muslim youths have callously been taken in by such misconceived propaganda. As a result, many of them left their families, countries and jobs to join ISIS in Iraq and Syria. Muslim youths should be told that such a call is mere extremist propaganda. They should be made aware that large number of Muslim scholars today have denounced ISIS. These scholars have also asserted that jihad is not just consisting of the act of taking up arms to fight the infidels – in fact, it encompasses any utmost efforts that would bring great benefit to the universe in general, and mankind, in particular. One example of this can be seen in a document signed by more than a hundred Muslim scholars from all over the world (An Open Letter to Al-Baghdadi, Point 8). This understanding of jihad represents the wasatiyah (moderate) vision of Islam. Thus, efforts to promote wasatiyah should go hand-in-hand with the efforts to counter the current problem of radicalisation of Muslim youths globally. Upon this basis, it becomes important to look at and promote initiatives that Muslims can undertake which represent jihad in the wider sense. it has the potential of attracting Muslim youths into non-violent jihad, which would occupy and dissuade them from the negative influence of ISIS. it provides a positive image of young Muslims who have been tarnished and viewed as young persons who are susceptible to radicalism and hence must be suspected of terrorism. Regretfully, the media’s reporting of radicalisation cases involving Muslim youths due to its sensational value is overwhelming. As a result, there is a pertinent benefit which can be derived through the portrayal of Muslim youths involving themselves in constructive initiatives which provide positive motivations and a form of counter radicalisation to others. The use of jihad for conservation work as suggested here is not novel and unique. Contemporary Muslim scholars have used it for “combating” poverty, eliminating illiteracy, improving level of Muslim education, economic development and peaceful propagation of Islam (Al-Qaradhawi, 2009 and The My Jihad Campaign). Terms such “environmental jihad”, “economic jihad” and “educational jihad” are new but this does not render them null and void, as their meanings are in-line with that of the wider jihad. They are not intended to replace or deny jihad of armed struggle against enemies who occupy and transgress Muslim countries [emphasis mine]. But to guide Muslims to refocus their energies and realign the priorities based on today’s context. 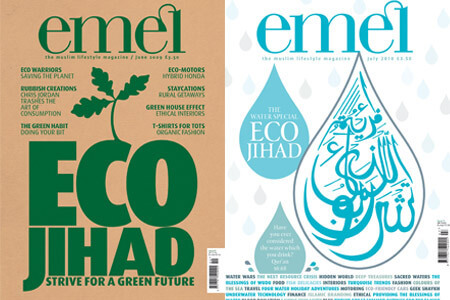 Why the need to promote environmental jihad? Islam puts tremendous emphasis on the issue of environmental conservation. This can be discerned from the fact that the Qur’an has made being a “mercy to the universe” as the mission of Prophet Muhammad (The Qur’an, 21:107). It has been understood by all Muslim scholars that the Universe mentioned in the verse is not exclusive to mankind nor Muslims. This mission is further complemented by the concept of Man as the vicegerent of God on Earth also (2:30). Thus, the Qur’an strongly denounces those who are responsible for the destruction of the environment (60:47). Jihad in Islam has always been linked to great virtues in general which is why Muslim religious scholars do not regard every virtue as jihad. Today, environmental issues have become a pertinent global concern, especially so for Muslim countries where eight of the top 10 most air-polluted nations are Muslim countries (i.e Pakistan, Qatar, Afghanistan, Bangladesh, Iran, Egypt, United Arab Emirates and Bahrain, The World Health Organisation report, 2014). The magnitude of the environmental problem is manifested through the shortage of natural resources that affect millions of lives. It snowballs to other forms of crisis in the form poverty and causes health problems (United States Global Change Research Program, 2014). Some experts opine that there is a strong link between environmental problems and the outbreak of war. In 2007, Ban Ki-moon, the UN Secretary-General, stated that the Darfur-Sudan conflict was the result of the climate change: the first of its kind in this world. It was caused by the continual lack of water sources due to changes that occurred in the rainfall patterns as a result of climate change. He postulated that the conflict could exacerbate in the years to come if the situation continues (Notara, 2009). The same assessment was made by researchers with regard to the current conflict in Syria (Polk, 2013, Landau, 2013 and Bawden, 2015). This is in addition to the fact that war itself has been a major cause of environmental destruction (Parenti, 2012). In view of the massive scale of the problem being faced and the increasingly urgent need to mobilise efforts to confront the situation, it has become clear that such a monumental task is worthy of being regarded as jihad in a wider sense. The declaration, that was distributed in advance to gain feedback from Muslim constituents, was officiated at the International Islamic Symposium on Climate Change held on 15-17 August 2015 in Turkey, sponsored by Islamic Relief Worldwide, an established Islamic international humanitarian organisation, with a headquarter in the UK. The initial draft of the declaration was formulated by the Islamic Foundation for Ecology and Environmental Sciences, a charity body headquartered in the UK for environmental conservation and natural resource management (Cook, 2015). More than twenty Muslim and non-Muslim academics and religious scholars, presented working papers and delivered speeches on the need for environmental conservation and collective effort to address environmental challenges facing the world and to support the draft of the declaration. The iconic figures included Prof. Din Syamsudin, the head of two influential Muslim organisations in Indonesia – Muhammadiyah and Majelis Ulama Indonesia (Indonesian Ulama Council), and Prof. Syed Hossein Nasr, an eminent scholar of Islam today. This has given environmental conservation greater importance in the eyes of Muslims as Muslim themselves are most affected by problems caused by environmental degradation . The objective of this symposium is to highlight the role and contribution of Muslims towards environmental conservation and to enhance Muslim activism in the area, which until now has not been getting sufficient attention compared to Western countries. The declaration was pronounced with the objective of re-instilling balance to the global eco-system because much of the environmental problems are due to the lack of balance between the pursuit of urban development and the utilisation of natural resources. It stresses the need to revisit the December 1997 Kyoto Protocol that has been agreed upon and ratified by countries and it is hoped that more strategic follow-up actions could be taken for the improvement of the prevailing climate condition. It also seeks to convey Muslims’ collective support to the Conference of the Parties for the UN Framework Convention on Climate Change and the Meeting of the Parties (the Kyoto Protocol) that will be held in Paris December 2015.
to replace unethical ways of profiting from the environment with practices that would contribute to environmental conservation. Although many will be affected by this effort, particularly the industrial and manufacturing sector, this issue can no more be overlooked lest the long term goal of sustainable living is compromised. What is also significant about this declaration is its moderate approach towards addressing the environmental issue, as compared to some other environmental organisations that veer towards radicalism and extremism. It must be noted here that the problem of radicalism and extremism is not confined to Muslims who are supporting violent groups like ISIS. In fact, before the emergence of ISIS, radical environmental groups such as Animal Liberation Front and Earth Liberation Front were regarded as a serious security threat to many Western countries. 239 bombings were committed between 1995 to 2010 in the US alone by these groups (National Consortium for the Study of Terrorism and Responses to Terrorism, 2013). Cynics would claim that this declaration is only good on paper, like many other declarations before and would not necessarily contribute towards something positive in concrete terms. Admittedly, the declaration alone is not sufficient to address the problem at stake. However, this should not be a reason for having a dismissive attitude towards it and viewing it with pessimism and contempt. There have been many fruitful initiatives and concrete actions in the past which originated from declarations such as this. Often, at the international level, efforts to galvanise resources to face common global challenges such as environmental crisis, begin with initial action like this – mobilisation of experts for the purpose of generating ideas, common stands and strategic direction. Then, a more organised and directed follow-up actions can be taken from there. Many times questions are raised on what initiative has been taken by Muslims to deal with common global problem. As a case in point, there are still voices demanding Muslims to speak up against violent extremism perpetrated by ISIS, Al-Qaeda and the likes. The reality is many statements have been made by Muslim scholars, thinkers and leaders to such extant. Regrettably though, these statements have not been sufficiently covered by mainstream media. Thus, positive initiative by Muslims such as this declaration should be widely exposed to highlight that Muslims are, indeed, contributing to the existing global environmental problem and to inspire and motivate other Muslim youths to take similar positive steps. It is worth noting that the declaration has succeeded in inspiring and strengthening the resolve of a group of Muslim youths in Singapore to commit themselves in environmental conservation work. Back in 2013, this group founded FiTree, a Muslim environmental society, whose aim and objective are identical with the declaration above. The society organises activities involving young Muslims from various mosques and madrasahs (full time Islamic schools) in Singapore to promote awareness of environmental issues and open doors for positive contributions towards environmental conservation. This is significant from the standpoint of community outreach and engagement for the purpose of promoting wasatiyah and preventing radicalisation. It is imperative to ensure that the declaration becomes a concrete vehicle for action. However, addressing this in details requires other writing opportunity. For now, the symposium and the declaration should be duly merited and commended. While the world is witnessing throngs of Muslim youths joining violent groups in places like Iraq, Syria and Somalia, the initiative taken by Muslims through the declaration and their positive contribution towards environmental conservation must be given due recognition and exposure. This will help portray a positive picture of a more dynamic and progressive young Muslim who is keen to help create a better world for all, rather than young individuals who have nothing to contribute except further worsening the problem of radicalism. More importantly, objectives of environment work transcend race and religion. Thus, it represents a good platform for people of different faiths, culture and ethnicity to come together and cultivate a more inclusive culture in the society in addition to humanitarian and relief work, inter-faith and cultural dialogues and sports. One could also highlight to young Muslims through environmental conservation initiatives that ISIS is part of the contemporary problem, not the solution. The war that it instigates in places like Syria, Iraq, Nigeria and Somalia has caused tremendous sufferings to people and aggravated further environmental crisis. The recent refugee crisis in Europe is one small manifestation of it where thousands of people running away from war zones become victims of human smuggling syndicate. They suffer the loss of human dignity in addition to their lives. Environmental conservation is also a potential area for the inculcation of shared positive values among young Muslims who are being targeted by radical movements like ISIS. Thus, it is an area that should be promoted among young Muslims to spread wasatiyah and counter radicalisation. This is acknowledged by Nur Khairiana from FiTree. This is not to claim that environmental conservation work would be the panacea for radicalisation problem. To be honest, it is not. However, all avenues must be explored to help address the problem of radicalisation and to promote wasatiyah among young Muslims. 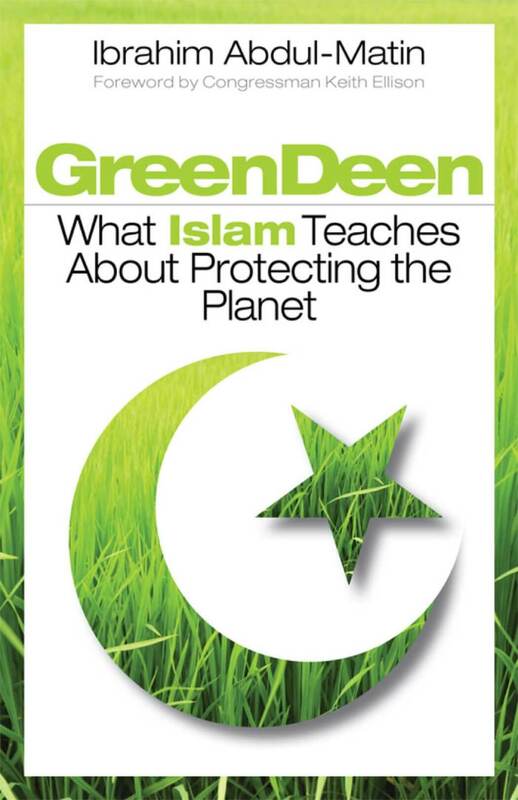 In this respect, environmental conservation has two significant roles to play: a) to attract young Muslims to translate their idealism and activism into positive and progressive contributions, and b) to strengthen the commitment and confidence of young Muslims who are already involved in environmental conservation initiatives that what they are doing is a noble jihad in Islam. Thus, they should continue with their honourable endeavours and be proud of them. Al-Qaradhawi, Yusuf. 2009. Fiqh Al-Jihad: Dirasah Al-Muqaranah Li Al-Ahkamih Wa Falsafatih Fi Daw’ Al-Qur’an Wa Al-Sunnah. Qahirah: Maktabah Wahbah. Bawden, Tom. 2015. “Climate change key in Syrian conflict – and it will trigger more war in future”. The Independent. 2 March, available at http://www.independent.co.uk/news/world/middle-east/climate-change-key-in-syrian-conflict–and-it-will-trigger-more-war-in-future-10081163.html (30 October 2015). Berecz, Tamás and Kristóf Domina. 2012. Domestic Extremism in Europe Threat Landscape: A Report. Athena Institute. November, available at http://athenainstitute.eu/pdf/EUR_MAP_STUDY_ENG_closed.pdf (30 October 2015). Cook, Kieran. 2015. “Muslim scholars say climate change poses dire threat”, Climate News Network. 15 July, available at http://www.climatenewsnetwork.net/muslim-scholars-say-climate-change-poses-dire-threat/ (30 October 2015). 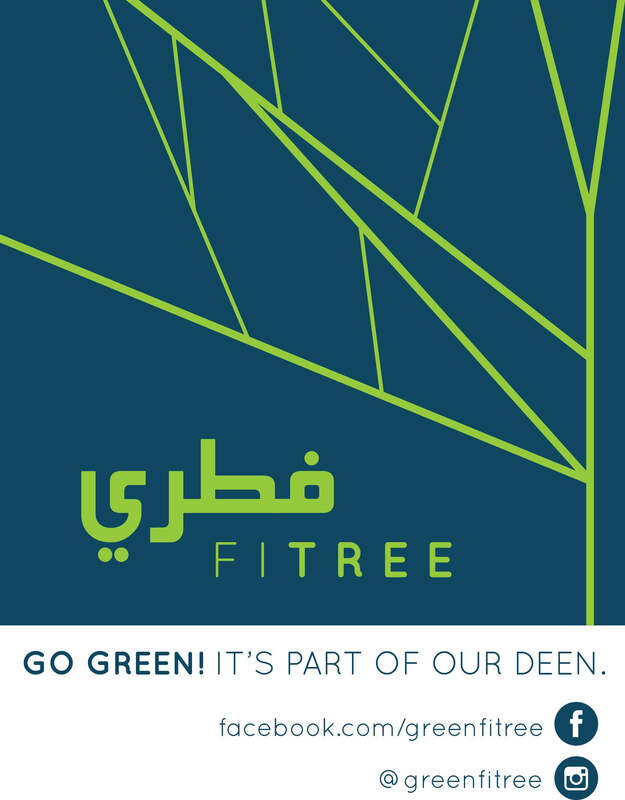 FiTree, available at https://greenfitree.wordpress.com/about/ (30 October 2015). Interview with Ms. Nur Khairiana binte Mohd Malek via email on 15 September 2015. Islamic Relief Wordwide, at http://islamicclimatedeclaration.org/#home (30 October 2015). Kelley, Colin P. et. al. 2015. “Climate change in the Fertile Crescent and implications of the recent Syrian drought”. Proceedings of the National Academy of Science of the United States of America. Vol. 112. No. 11. 17 March, available at http://www.pnas.org/content/112/11/3241.full.pdf (30 October 2015). Kyoto Protocol, available at http://www.kyotoprotocol.com/ (30 October 2015). Landau, Elizabeth. 2013. “Climate change may increase violence, study shows”. CNN. 2 August, available at http://edition.cnn.com/2013/08/01/us/climate-change-violence/index.html (30 October 2015). National Consortium for the Study of Terrorism and Responses to Terrorism. 2013. An Overview of Bombing and Arson Attacks by Environmental and Animal Rights Extremists in the United States, 1995-2010. May, available at http://www.start.umd.edu/sites/default/files/files/publications/START_BombingAndArsonAttacksByEnvironmentalAndAnimalRightsExtremists_May2013.pdf (30 October 2015). Notaras, Mark. 2009. Does Climate Change Cause Conflict?. United Nations University. 27 November, available at http://ourworld.unu.edu/en/does-climate-change-cause-conflict (30 October 2015). Open Letter to Al-Baghdadi, available at http://www.lettertobaghdadi.com/ (30 October 2015). Parenti, Cristian. 2012. Tropic of Chaos: Climate Change and the New Geography of Violence. New York: Nation books. Polk, William R.. 2013. “Understanding Syria: From Pre Civil War to Post Assad”. The Atlantic. 10 December, available at http://www.theatlantic.com/international/archive/2013/12/understanding-syria-from-pre-civil-war-to-post-assad/281989/ (30 October 2015). Ryan, Rowena. 2014. “Countries with the worst air pollution ranked by World Health Organisation”, news.com.au, 28 August, available at http://www.news.com.au/travel/world-travel/countries-with-the-worst-air-pollution-ranked-by-world-health-organisation/story-e6frfqai-1227040198863 (30 October 2015). The My Jihad Campaign, available at http://myjihad.org/about/ (30 October 2015). United States Global Change Research Program. 2014. Third National Climate Assessment Report. May, available at http://www.globalchange.gov/browse/reports (30 October 2015).